This one-stop nudibranch site features a Nudibranch of the Week, complete with pictures and description. Site also includes links to many additional internal and external nudibranch resources. Be sure to check out Dr. Hans Bertsch's page on everything you ever wanted to know about nudibranchs, but were afraid to ask. Plentiful amounts of information and photographs. 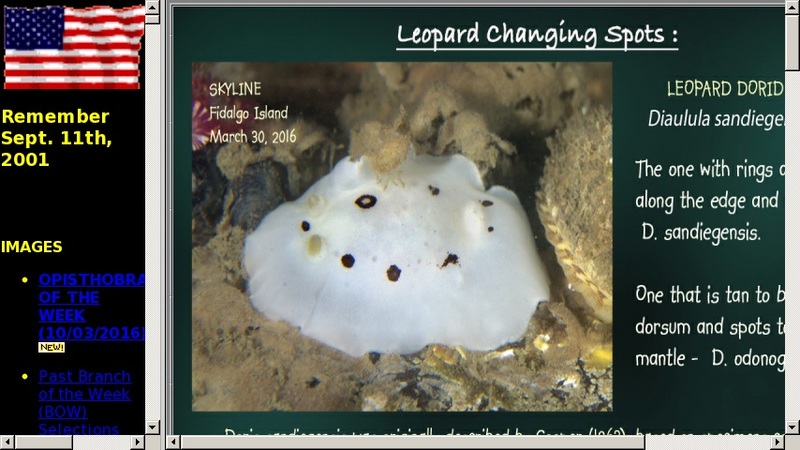 Site also includes downloadable film of nudibranchs from across the globe.